Two weeks ago, we wrote a story about repeated reports of RTX 2080 Ti failures and how those failures were piling up and making waves on Reddit and Nvidia’s own forums. At the time, we told you that Nvidia’s official guidance was that there was no GPU problem. That guidance has changed, thanks to additional problem analysis. The company’s new information, however, is exceedingly brief. “Test escape” is a term of art that refers to a problem that slipped through quality control testing and wasn’t caught until it wound up in the hands of the end-customer. This certainly does appear to be the case. While I haven’t been running news up the flagpole every single time an RTX 2080 Ti failed, I promised to keep an eye on the situation and have been doing so. Kyle @ HardOCP has also done some of this work — one of the two RTX 2080 Ti GPUs he purchased failed after just two hours last Friday. Other cards have literally burst into flames and there’s been speculation in the GeForce forums that the problem might lie with Micron’s GDDR6. Supposedly cards coming back from Nvidia have Samsung memory instead of Micron. Given that at least one of the failed cards literally burst into flames, we recommend gamers who have purchased an RTX 2080 Ti keep a careful eye on their systems. The good news, if you want to call it that, is that this failure appears to happen relatively quickly. The fact that the failure popped up so soon after volume shipments began suggests this problem tends to rear its head in short order, and while that’s not the same as actually having peace of mind that you’ve purchased a well-manufactured product, hopefully, this is a case where affected GPUs can be swiftly replaced. There were initially reports that some people were on their second failed RTX 2080 Ti, but now that Nvidia has presumably identified the problem it can avoid that happening in the future as well. Because the RTX 2070, 2080, and 2080 Ti all use different physical chips, it’s also possible that the defect is related to the actual GPU. The optics of shipping defective hardware immediately after you jacked up the price on your flagship GPU by $500 are not good, and gamers who promptly sold their old cards upon purchasing new ones may find themselves stuck on Intel integrated graphics while the replacement goes through, but Nvidia has pledged to make the situation right for affected customers. 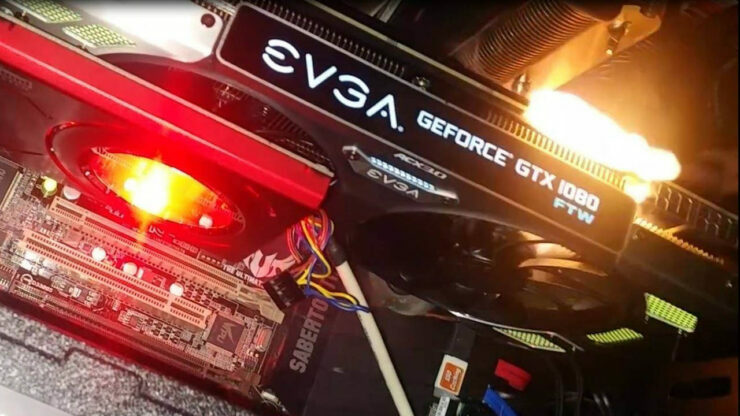 What Nvidia needs to do now, if at all possible, is release information that will help gamers identify if they have a defective GPU before it fails, in order to request replacements as quickly as possible and avoid potential system damage. ExtremeTech does not recommend gamers purchase the RTX 2070, 2080, or 2080 Ti for reasons discussed in the review linked below. Even if nVidia replaces the GPUs for free, customers are still on the hook for shipping, which can be upwards of $100 (cost me about $30 to RMA my last graphics card to Sapphire, same with my 1800X to AMD). The weird thing is that the GTX 1080 did the same thing, though for a different reason, but you would have to think nVidia would not like the reputation of manufacturing suicidal cards, then again when you're uncontested, you can do anything you want. Wasn't there a time in the past where a update caused some to burn up? 196.75, 376.33, and a few others throughout the years, with one of them also resulting in nVidia denying warranty coverage to the affected cards as well. AMD had their own fan speed bug a while back with the first Crimson release but it didn't kill any cards, and was fixed in a couple of days. One has to wonder too if this self destruct issue is the actual reason for the delay nVidia had on the RTX series, and not because of the claimed reason that they wanted to buildup a stockpile or sell more GTX 1000 series chips, since with some cards failing within mere hours, I find it hard to believe at least one of them didn't do this during testing. When the problem with the GTX 1080 was discovered EVGA gave their customers two choices. Either send the card back for a replacement (shipping paid) or they would send you the pads so you could do it yourself. At least Nvidia acknowledges the issue. All you get from AMD now-a-days when you have a problem is the sound of crickets. But yea, their Quality Department should have caught it before it hit the shelves. Just another reason to not rush out and buy a new product on release day. "Test Escape" is a nice term, but in this case, all nvidia had to do was use the cards for a few hours in final configuration.